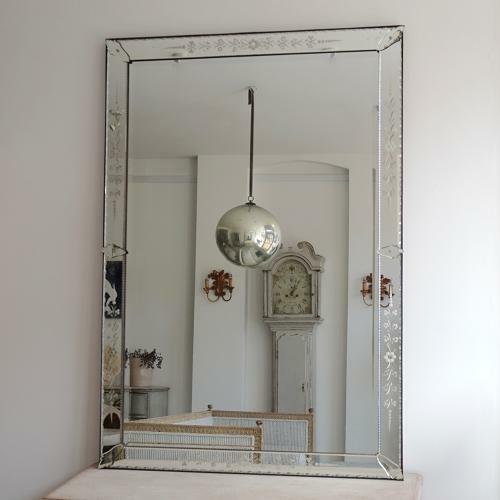 Magnificent antique oblong Venetian mirror with original glass plate and flower & leaf etched panels. Can be hung portrait or landscape. Italian circa 1900.